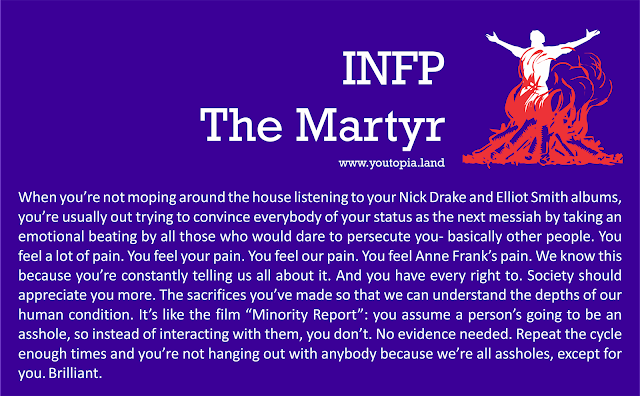 I previously described the sixteen Myers-Briggs personality types as “Astrology for Nerds.” As I mentioned in my essay, I’m an INFP. 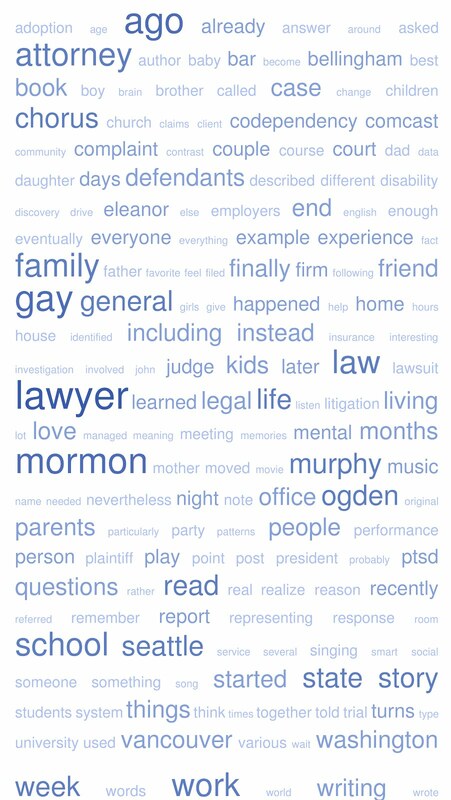 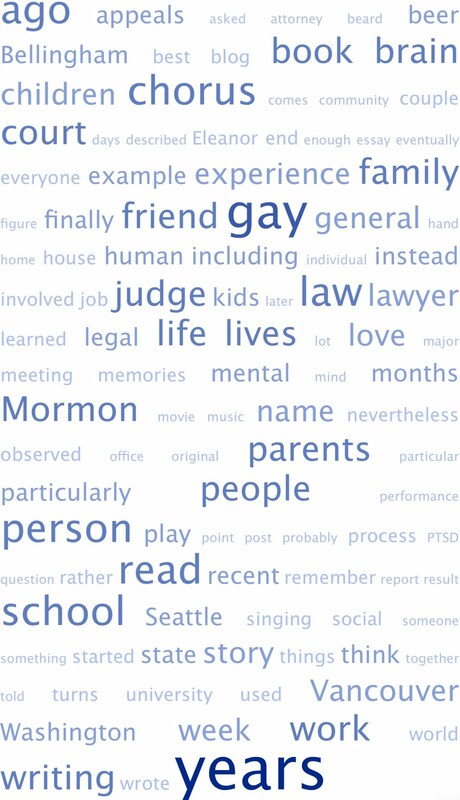 We are rare, sensitive creatures who should never be allowed to go to law school. 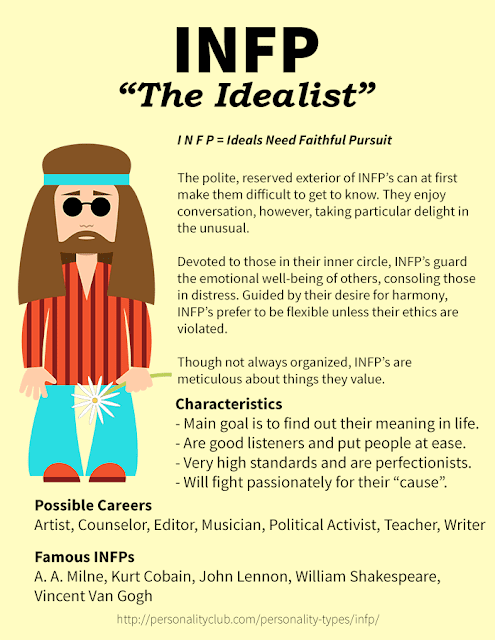 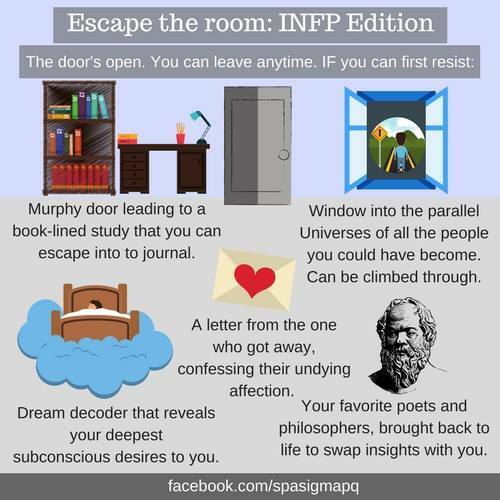 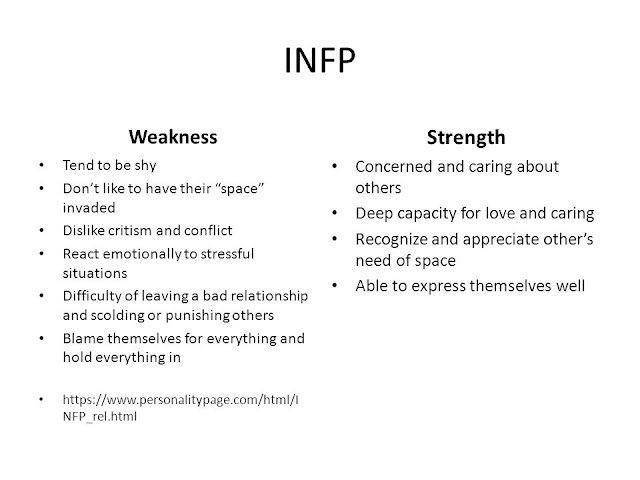 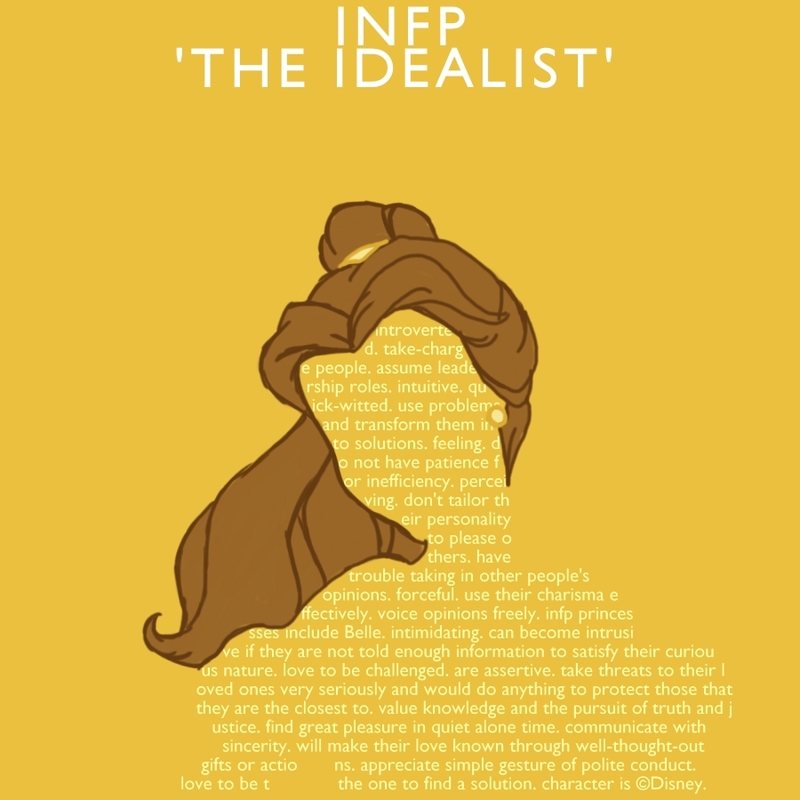 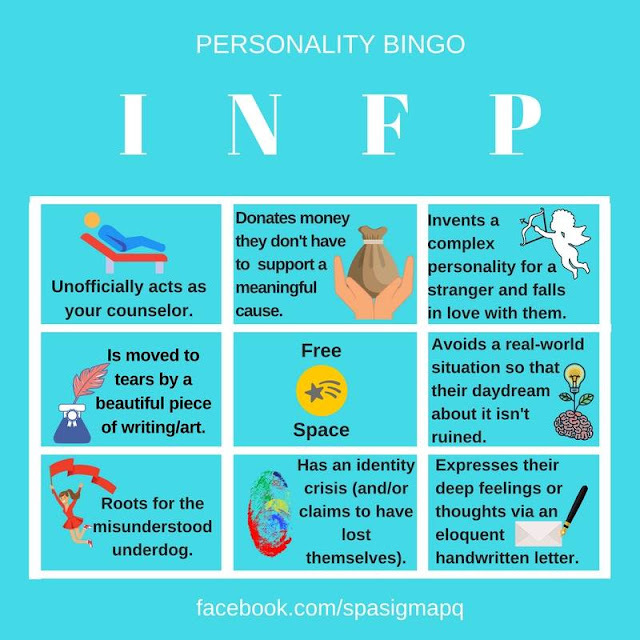 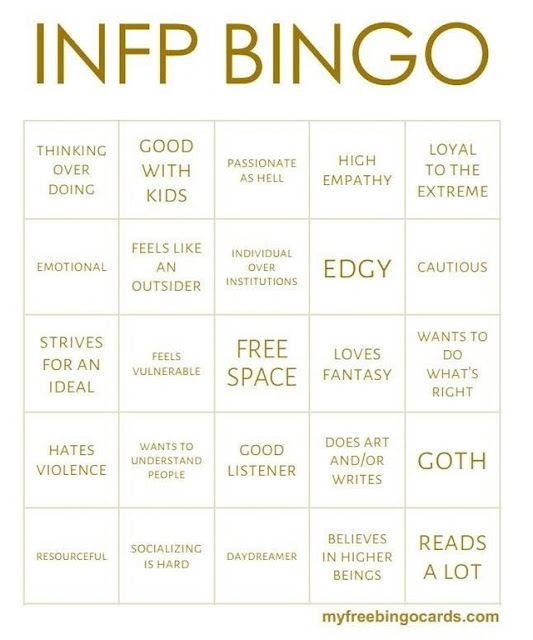 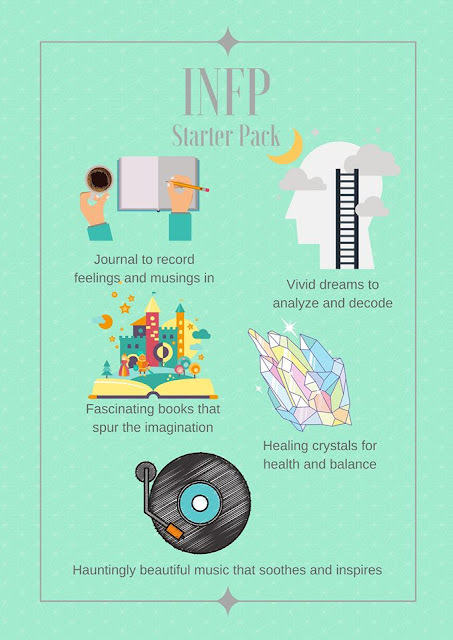 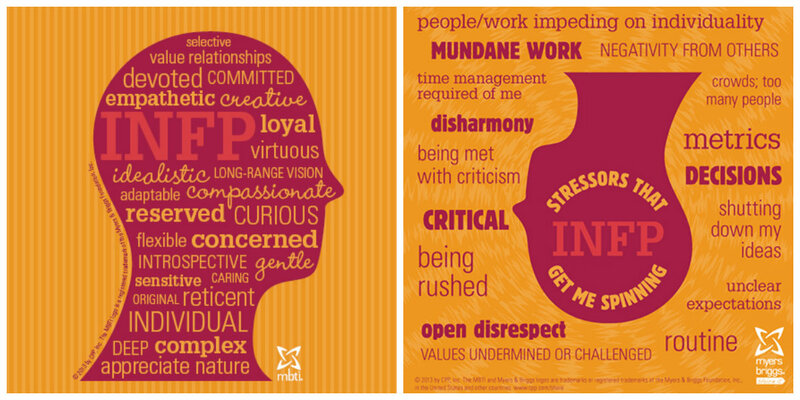 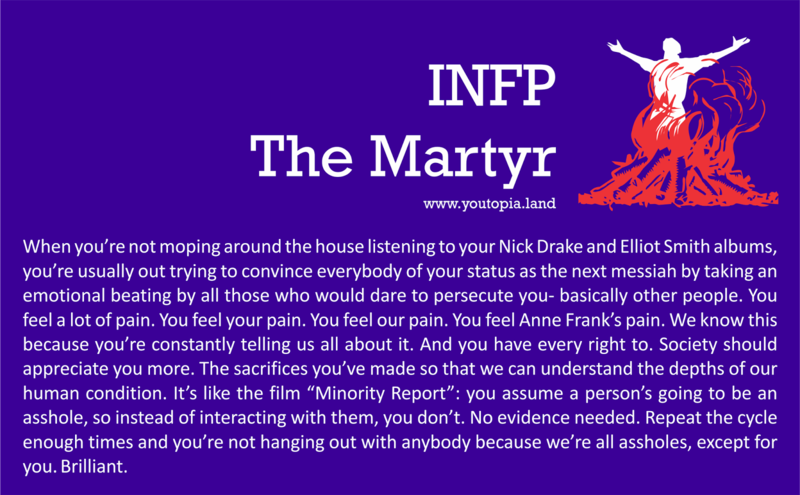 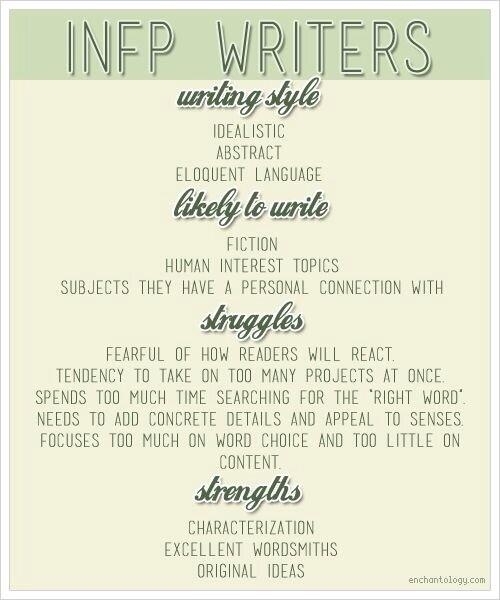 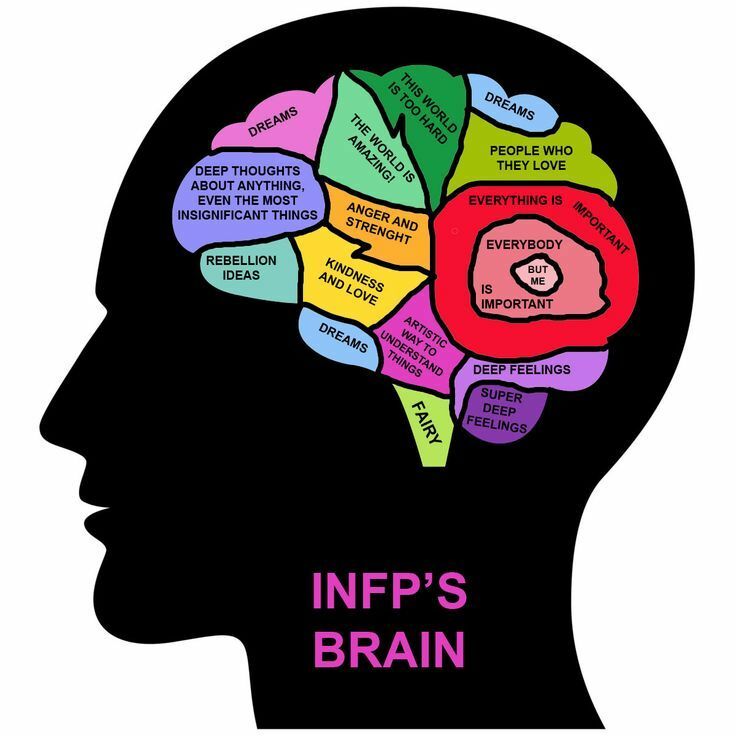 The common mnemonic for INFP is “I Never Find Perfection.” Unfortunately, it doesn’t help me remember what any of the letters mean beyond “I” standing for Introvert.